We looked at the top 10 Baby Monitors and dug through the reviews from 68 of the most popular review sites including Tom's Guide, TechHive, PC Magazine, Best Reviews Guide, Baby Gear Lab, Consumer Reports and more. The result is a ranking of the best Baby Monitors. Our experts reviewed the top 10 Baby Monitors and also dug through the reviews from 68 of the most popular review sites including Tom's Guide, TechHive, PC Magazine, Best Reviews Guide, Baby Gear Lab, Consumer Reports and more. The result is a ranking of the best of the best Baby Monitors. The highly rated and awarded Infant Optics Baby Monitor gives you an easy, Wi-Fi free set-up and long battery life. It keeps your phone free and still gives you a clear, reliable video picture that automatically switches between day and night. Plus, you get remote pan, tilt and zoom functions and 2-way talk. You'll also have extra peace of mind knowing there is no delay or lagtime on the dedicated screen, which is also private and safe from hackers. DWYM Baby and Kids Experts plus Top Ten Reviews, Tech Radar, Baby Gear Lab, New York Times Wirecutter, Best Reviews Guide, PC Magazine and 1 more. Along with user reviews from Amazon, Best Buy and Target.
" This is very easy to use and has long battery life." "It’d be nice to have a bit more range of movement on camera rotations, or a mobile app for remote viewing, but everything else is top-of-the-line." Arlo Baby Monitor goes anywhere you go, using Wi-Fi to send a 1080p HD live or recorded video of your little one straight to an app on your phone. The Arlo monitoring camera also sends motion, sound and environmental alerts. It has standard features like 2-way talk and night vision, while also giving you the ability to connect with other smart home devices, play music or even use multi-colored night lights. DWYM Baby and Kids Experts plus Tom’s Guide, TechHive, New York Times Wirecutter, PC Magazine and 1 more. Along with user reviews from Amazon, Best Buy and Walmart.
" The Arlo Baby is extremely cute for a smart-home product. It comes with removable rubber bunny ears and feet, which you can swap out for a kitten or puppy look for an extra $20 per critter. At 4.3 x 2.6..."
"This monitor is harder to use than options without a Wi-Fi connection." The Babysense Baby Monitor may have a smaller screen than other models, but it comes fully featured at an affordable price. This non-Wi-Fi model has an LCD screen with a smooth digital picture that switches into night vision automatically and allows you to digitally pan, tilt and zoom. It has the coveted 2-way talk function and also features extras like lullabies, room temp alerts, and programmable alarms for feedings or diaper changes. 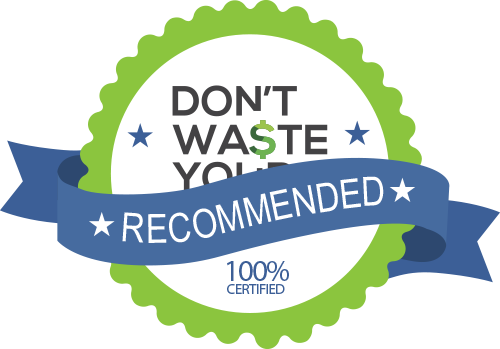 DWYM Baby and Kids Experts plus Baby Gear Lab, BestReviews, New York Times Wirecutter, Best Reviews Guide. Along with user reviews from Amazon.
" It has two-way talk-back, pan/tilt/zoom options, and a temperature display." "While it lacks a sensitivity adjustment to help weed out ambient vibrations that could result in poor functioning, the use of two sensor pads theoretically increases the accuracy of the unit no matter where the baby is located on the..."
The VTech Baby Monitor lacks a video monitor, but it still features excellent sound quality, battery life and affordability. You get two parent units for dual-monitoring with visual cues for sound level and a 2-way talk option for comforting your baby. The parent units are cordless (with rechargeable batteries) and can also be programmed to beep if they lose touch with the baby unit or need to be recharged. DWYM Baby and Kids Experts plus Baby Gear Lab, Best Reviews Guide, New York Times Wirecutter, The Baby Website. Along with user reviews from Amazon, Best Buy and Target.
" The DM221 has excellent sound clarity with some of the best and loudest sounds in the group. This monitor has sound activation and two-way talk to baby, the two most sought after features in monitors. If that isn't enough to..."
"For most people, losing video is a major sacrifice, and we think most parents looking for a first monitor will prefer being able to do a visual check-in on a baby." We identified the majority of the baby monitors available to purchase. Reviews from our DWYM category experts and analysis of some of the most respected sources including: Tom's Guide, TechHive, PC Magazine, Best Reviews Guide, Baby Gear Lab. We also incorporate user reviews from the leading retailers including Amazon, Walmart, Best Buy, Target and 4 others. This is very easy to use and has long battery life. It has the most intuitive controls and longest battery life, along with acceptable image quality, range, and value, with a simple video connection that’s more reliable than Wi-Fi–enabled competitors. It has great battery life, easy to recharge and has useful optical zoom lens. It’d be nice to have a bit more range of movement on camera rotations, or a mobile app for remote viewing, but everything else is top-of-the-line. Limited features and glitchy reception. The biggest drawback for this monitor is the price - it's about $250, which is up at the top of the price range for this entire list. It has crisp sound and better talk-back functionality than the best video monitors we found, as well as a longer range and better battery life than our video picks. It easily beats out its audio-only competitors for various basic reasons like being cordless, rechargeable, or less expensive. For most people, losing video is a major sacrifice, and we think most parents looking for a first monitor will prefer being able to do a visual check-in on a baby. Parents have noted that the monitor requires constant relinking leading to a loss of sound. Luckily, it only takes a couple of seconds to relink the devices. Unlike most audio-only monitors, the VTech DM221 Audio Baby Monitor requires a little extra attention to navigate the menu and configure its settings. As a parent or caregiver, your child’s safety is a No. 1 priority. When you can’t be in the room or are drifting off to sleep yourself, a baby monitor offers wonderful peace of mind. It allows you to be alerted as soon as your baby moves or makes a peep so you can decide if they’re just having a dream or you’re needed right away. Baby monitors today come with a variety of features and functions, but this guide will help you focus on what’s most important to you. Baby monitors are available as three basic types: audio-only monitors, video and audio monitors and Wi-Fi-enabled video and audio monitors. There are also movement monitors, but they are usually used in addition to a video or audio monitor, not in place of one. From a cost perspective, the more features you add, the more the price goes up. You will also usually pay more for a larger video screen or additional cameras or parent monitors. Digital monitors typically cost more but it may be worth it to you because they are also more secure as your signal is encrypted. Analog monitors can cross frequencies with nearby monitors. If you’re getting an audio-only digital monitor, look for monitors with DECT technology, which uses a lower frequency bandwidth that will give you clearer sound and more secure connection. Audio-only monitors will pick up any sounds or noises your baby makes and alert you through a speaker. Some, like the VTech Baby Monitor, also have a sound-level indicator to let you know how much noise is coming from your baby’s room. The VTech Monitor also has an option which allows for two-way talk, so you can comfort your little one with your voice or call for help. Many times, audio monitors are more compact, have longer battery life, great range and are the most affordable. You are probably more likely to find analog options in this category so be sure to look for monitors that mention “secure transmission” or digital technology. Audio and video monitors provide you with both a sound and visual view into what your baby is up to. No more sneaking into the room to check on noises that may be nothing! The parent monitor screen can range from small, like the Babysense Video Baby Monitor at 2.4 inches, all the way up to 5 inches. To transmit the video, you’ll set up a small camera near the baby’s crib. Some may offer mounting hardware as well. Both the InfantOptics Video Baby Monitor and the BabySense Video Baby Monitor give you the ability to zoom, tilt or pan the camera for a better view of your slumbering little one. Most audio and video monitors also provide the two-way talk feature so you can communicate with your baby when you’re out of the room. They will also typically automatically switch from day to night mode. The BabySense has an ECO mode that switches the video monitoring off until it picks up sounds. This may also be a good option for anxious parents or those who find themselves woken up unnecessarily by the video screen. Wi-Fi-enabled video monitors, like the Arlo Baby Monitor, are digital cameras that use your existing Wi-Fi network to send a high-quality video signal to your phone, tablet or other connected devices. You will likely get the highest quality video (Arlo boasts 1080p HD) with a Wi-Fi baby monitor. The Arlo Baby Monitor and others like it can also send alerts to your device when sound, movement or other environmental changes have occurred. This way, you don’t have to have video streaming constantly if you need to use your device for other things. Arlo also lets you tap into other smart devices or technology you have in your house, such as Alexa or Google Home. You are usually also able to control the camera and any air or temperature sensors or features that it has from your phone or other devices. There is a slightly higher security risk with Wi-Fi-enabled video monitors, but as long as you take steps to secure your monitor and home network and don’t access the video feed remotely too often, you should be relatively safe. Overall, the key areas you’ll want to focus on are: security, battery life, range, video and audio clarity, ease of use and set up and then decide what extras are important to you. Both the BabySense and the Arlo give you lullaby options, but Arlo lets you play your own music as well. Other added functions include things like night lights and room temperature monitoring. These features don’t make or break the usefulness of a monitor, so you’ll have to decide what you ultimately need and prefer. You may have seen news stories about baby monitors being hacked. No parent wants strangers looking in on their children, but how serious of a concern is it? The type of baby monitor really helps determine how easy it might be to hack. Digital baby monitors that are not Wi-Fi connected are certainly a better choice if hacking is a concern for you. The hacker would need to be in close proximity to the radio frequency, and many newer digital baby monitors use channel encryption, which would also need to be hacked into, making it on the whole, less likely. Because Wi-Fi baby monitors are connected to the network in your home, which can be vulnerable, they are also more susceptible to hacking. Make sure your private network has remote access disabled, your router is updated frequently and has a strong password. It’s also a good idea to make sure your monitor is registered, able to receive security updates and can be password protected. When not in use, make sure your monitor is turned off. Some Wi-Fi baby monitors also connect to the internet through an app that allows you to see and hear your child even when you’re not at home. In this case, the monitor manufacturer’s website could be hacked and your password could be stolen. If you really want to have remote access, just make sure your monitor is as secure as possible, as well as that you don’t broadcast the feed all the time and that you have a strong password that you change regularly. Even though recent American Academy of Pediatrics (AAP) recommendations suggest that infants should sleep in their parents’ room for at least six months and ideally one year, you will still need a baby monitor if you want to have your own bedtime or monitor during naps. Other studies suggest that babies actually sleep better and longer in their own rooms after four months. Ultimately, you’ll have to decide what is best for you and your family, but a monitor will be helpful no matter the sleep situation. Always make sure your camera or speaker unit is safely placed where it will not fall into the crib or bassinet, preferably at least three feet away. Also be mindful of cords so they do not get tangled with the crib, blankets or baby. Once your child is old enough, make sure he or she knows the monitor isn’t a toy to be played with. Never place your monitor near a spot where it could get wet to prevent electrocution. A monitor does provide more peace of mind. However, it does not directly protect against sudden infant death syndrome (SIDS). You still need to follow the AAP guidelines, which recommends precautions such as always putting the baby to sleep on his or her back, keeping the crib free of pillows, blankets, and stuffed animals and using a one-piece sleeper. When considering monitors, opt for models that include rechargeable batteries so the parent unit works when plugged in or not. The VTech baby monitor lasts for up to 18 hours. While you may not need quite that long, you’ll need at least 8 hours so the monitor can last through the night without being plugged in if need be. In cases where you might need to have the volume low or muted, it’s a good idea to look for monitors that have a visual indicator that lights up when it detects sound like the InfantOptics sound-activated LED bar. Multiple levels, like the 5-bar graphic available on the VTech monitor, let you know if your baby is just sighing happily or crying. Test your new monitor before the baby comes home to make sure it functions the way you expect it to. Your wireless network and the setup of your house may affect how it works in real life despite ranges the manufacturer promises. Keep your packaging and receipt just in case! After you buy or a receive a new baby monitor, be sure you register it, so you will be notified of any recalls. It will also receive any necessary updates for safety and security purposes. If you plan to have more children or would like monitors in more than one room, you may want to choose a monitor that can easily expand to multiple cameras that all feed into one parent unit. With the InfantOptics Baby Monitor, you can add up to four cameras to monitor with one parent unit using scan mode. For the Baby Monitor category, we analyzed 68 of the most popular reviews including reviews from Tom's Guide, TechHive, PC Magazine, Best Reviews Guide, Baby Gear Lab, Consumer Reports and more. The result is a ranking of the best Baby Monitors.